Knight Frank has released its report on wealthy Kenyans or HNWIs (high-net-worth individuals) whose number and wealth grew in 2018, which was considered a difficult year for the country with the increased cost of living, credit shortage, and post-election economic slowdown. According to the Knight Frank Wealth Report, the number of Kenyan HNWIs, with net worths, excluding their primary homes, of over $1 million (Kshs 100 million) grew by 306 to reach 9,482 individual. It noted that there were also 82 “ultra-wealthy” individuals, with net worths of Kshs 3 billion, residing in Nairobi. Home ownership: First and second homes make up 45% of their wealth. Kenyan HNWI’s own an average of 2.7 homes, while those in South Africa own an average of four homes. 18% of HNWI’s bought new homes in 2018 in the country, and 8% bought homes abroad,. 22% plan to buy new homes in the country this year with the drop in luxury home prices and unfavourable economy in Kenya last year considered a good opportunity for property investments. 39% own investment properties in Kenya and 22% have investment properties overseas. Investment Portfolios: 25% of HNWI investments are in equities (company shares), 22% for properties that earn income, 22% in cash and 20% in bonds. Just 3% goes to private equity – and this has been a sore point for upcoming young companies who have to turn overseas to get equity funding. Local Preferences: The report notes that governments around the world are targeting global wealth, and 24% of the ultra-wealthy Kenyans have second passports or dual nationalities but only 9% are considering emigrating with an indicated preference for the UK, Canada and the USA. Half of them educate their children overseas for primary and secondary school and 65% of them send their children overseas for university education. HNWI’s allocated 3% of their wealth to luxury investments such as arts, wine and classic cars, among other collectables, with the majority collecting cars and jewellery followed by art and furniture. Whiskey and Chinese ceramics also feature, while gold gets 1%. The Report mentions that EABL has a mini mentorship program to woo more Kenyans to invest in collectible whiskies. Generational Wealth: Transferring wealth is still a delicate matter among Kenya’s rich, with only 43% of respondents to the Attitudes Survey saying their clients have robust succession plans in place to pass their wealth to the next generation. This entry was posted in EABL, Investing in Kenya, Knight Frank, Wealth declarations on March 6, 2019 by bankelele. 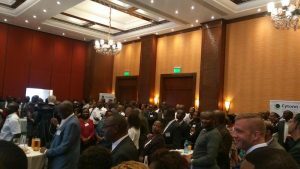 EABL: Beer, Taxes, Innovations, Tanzania. EABL released their financial results for their 2018 year to June this week. It was a tale of two halves with flat growth in the first half of the year which coincided with Kenya ’s prolonged electioneering period and which affected sales of its products such as Senator lager, an affordable beer brand. But the second half of the year (January to June 2018) saw a more business-friendly environment and more money in consumers pockets. EABL ended the year with 5% revenue growth to Kshs 73.5 billion and the star of the show for the company in 2017 was Tanzania which saw 41% growth, mainly driven by Serengeti Lite beer. Also, special innovations that contributed 22% to the results is one of the best performances in the world. At EABL, Tanzania’ grew to account for 11% of revenue while Kenya’s was 73%, and Uganda was at 16%. Capital expenditure was Kshs 13 billion, up from the 5 billion the year before and Kshs 7.8 billion was due to the Kisumu plant which is expected to be opened later in 2018. While overall profit before tax for EABL was Kshs 11.7 billion, a decline of 12% from the year, the company will pay out the same Kshs 7.50 per share dividend to shareholders. The EABL managers spoke of innovating to reach the 1 million consumers who attain the legal drinking age (18) every year in Kenya – and investment in existing brands, and rolling out new brands to win over changing customers tastes. They also made some excise tax savings in Uganda by moving some Tusker and Guinness production there while in Kenya, EABL’s profit was weighed down by a Kshs 2 billion one-off provision for taxes that significantly reduced their final result. They said a stable tax environment would enable the company to generate more taxes for governments without causing consumers to pay more. 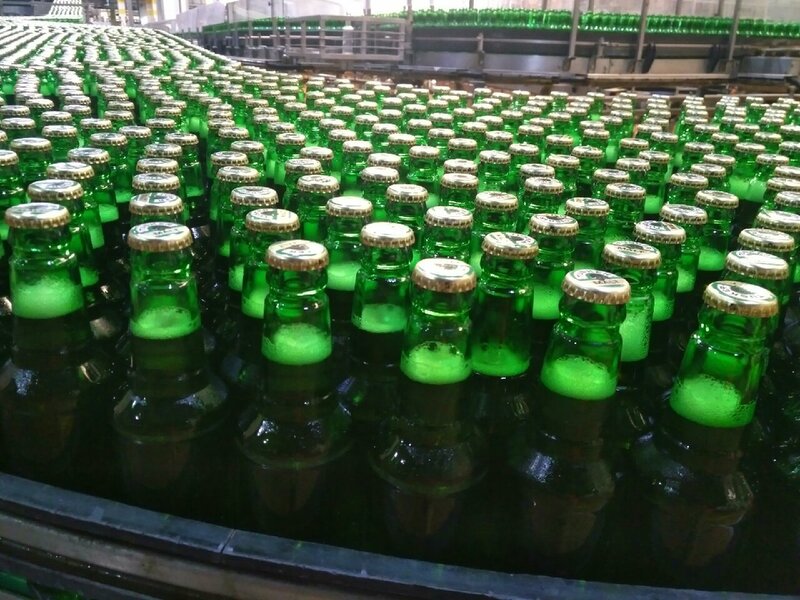 Also that by doing more local production of beer and spirits at Ruaraka in Nairobi, at Tanzania, Uganda and soon at the new line at Kisumu has allowed them to bring global brands into countries and produce and offer them at local prices. 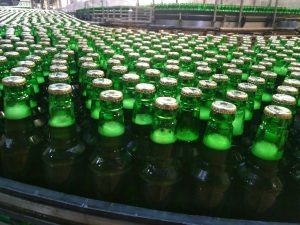 In the 2019 financial year, they will commercialise the Kisumu brewery which will also benefit 15,000 farmers and generate over 100,000 direct and indirect jobs in the production and distribution chain of Senator beer from Kisumu. This entry was posted in EABL, Kenya economic growth, kenya elections, Kenya taxation, Kisumu on July 29, 2018 by bankelele. EABL has 2017 net sales of Kshs 70 billion (~$700 million) and Kshs 8.5 billion ($85 million) profit. Their financial year ended just before the election season in Kenya which saw nationwide general elections held on August 8 and a surprise repeat Presidential one on October 26. and the KBL Managing Director said that the prolonged elections period had resulted in a slow first half of their new year, including the Christmas season which is usually a peak. EABL gets 72% of its revenue from Kenya, 17% from Uganda, and 11% from Tanzania, and they also serve South Sudan, Rwanda, and Burundi. Beer is still the cornerstone of the company, accounting for 80% of their revenue. This is led by Tusker, then Guinness (second by volume). Premium and lite beers are growing around the world and KBL has Tusker malt and Tusker Lite. There is also Senator Lager that was introduced in Kenya to combat the illicit alcohol trade. Senator is distributed by kegs and sold by pitcher or glass, And as part of a Kshs 15 billion Senator investments, a new Senator line was commissioned in Kisumu, and MD Karuku said that the old plant has a great location to serve Uganda, Tanzania, South Sudan, is next to Lake Victoria, and it is modular in design which will allow more product lines to be added on in future. She said beer would continue to be the main part of their future as beer keeps up with GDP (growing at about 5% a year) and grows as young people reach the legal drinking age. They also have spirits which contribute about 20% of the revenue of the company, and they control half the spirits market in Kenya. They have three segments of spirits; Reserve (luxury) in which they have Singleton whiskey, Ciroc, and Tanqueray gin. Then they have a Premium segment that includes Johnnie Walker (Kenya was the fastest growing Scotch market for Diageo in 2017) & liquours (Baileys which is marketed for ladies). Finally, they have a Mainstream segment, which is 80% of their spirits business in Kenya. Their main products here are Kenya Cane, a forty-year-old sugar cane blend, and also Chrome vodka. The company invested Kshs 900 million in a line that will double their spirits production capability, and they aim to grow spirits contribution from 20% to 30% of revenue. They also invested in tamper-proof plastic seals to combat a wave of counterfeiting of popular alcohol brand products in Kenya and 50% of the alcohol purchased is illicit. In life, tastes and consumer preferences are constantly shifting, and the company has an innovation division that tries to anticipate what consumers will like in the future. New products rolled out include a citrus fusion variant of Kenya Cane, non-alcoholic Álvaro (which is being revamped), a craft premium beer (Hop House 13), Tusker Cider, Tusker draft beer )that is predominantly at all-inclusive hotels at the Kenya coast), and Zinga a new beer brand being piloted that is priced between Senator and their other bottled beer. With the new citrus fusion introduction, sales of Kenya Cane grew 46% last year, and overall innovation contributed 18% to turnover in Kenya and 33% in Tanzania. Last year EABL contributed Kshs 52 billion in taxes (it was the third largest taxpayer after Safaricom and the Teachers Service Commission) equivalent to 4% of government revenue. Besides with the Senator beer, KBL also works with the government to explain that importance of a stable tax regime and business environment, and have pushed a caution that alcohol is not price-sensitive to the sin-taxes that seem to be a favourite add-on in the national budget every year. Already, while a Tusker bottler has a recommended retail price of Kshs 140, Kshs 84 shillings will go out as tax, Kshs 23 goes to the distribution chain and the company gets Kshs 33. A Tusker Beer remains part of the urban inflation index for tracking changes in the cost of living in Nairobi over time. This entry was posted in Diageo, EABL, Investing in Kenya, Kenya taxation on April 11, 2018 by bankelele. 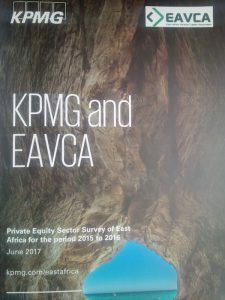 Ahead of the 3rd Annual Private Equity in East Africa Conference, (taking place on June 15 in Nairobi) the East Africa Private Equity & Venture Capital Association (EAVCA) and KPMG East Africa released their second private equity survey showing increased funding and activity, and with a lot more opportunity for deals to be done. They estimated that of the $4.8 trillion raised between by P/E funds globally between 2007 and 2016, about $28 billion was raised by Africa-focused funds and $2.7 (including $1.1 billion in 2015-2016) had been earmarked for investment activity in East Africa. This private equity had funded over 115 deals in the period that were included in the survey. Out of these the 115 deals, 23 were agri-business, 20 were financial services, 13 manufacturing, and 12 FMGC representing 59% of deal volume. The average deal size had also grown to the $10-15 million range, while in the initial survey it was below $5 million. P/E operations: There are about 72 funds operating/focused in East Africa (up from 36 in the first survey) with over 300 employees. 89% of the survey respondents have a local presence in East Africa. Returns: Of the deals done, survey responders had an average IRR target was 22% while the actual IRR achieved was 19%. There were 34 exits between 2007 and 2016, with increased recent activity; 2014 (had 7), 2015 (7) and 2016 (6). The preferred mode of exit is sale to a strategic investors (preferred by 78% while this mode accounts for 38% of exits) followed by share buy backs (32%), then sales to another P/E (21%). Many of the funds in the region are still in early stages, and 54% have made nil returns to their investors. 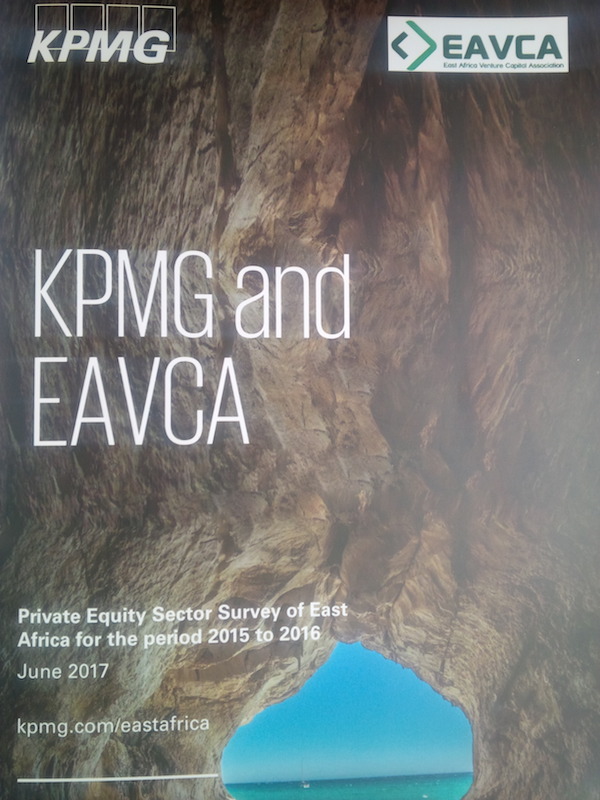 They surveyors estimate there are more opportunities for Africa private equity in health, education, retail, and manufacturing sectors. This entry was posted in africa venture capital, EABL, East African Community, EAVCA, Ethiopia, IMBank, Investing in Kenya, NSE investor awareness, oil industry, Old Mutual, Rwanda, tanzania, Uganda, Vodacom, Wananchi online on June 14, 2017 by bankelele. Update on NSE Bonds or bonds listed at the Nairobi Securities Exchanges and other bonds, since the last bond moment in May 2015. Globally, the bond market is bigger than equities one, and according to the latest CMA Kenya quarterly statistics (PDF), bond market turnover in Kenya has been larger than the equities one since 2009 mainly due to government bonds. In 2016, equity market turnover was Kshs 147 billion (down from 209 billion) in 2015. 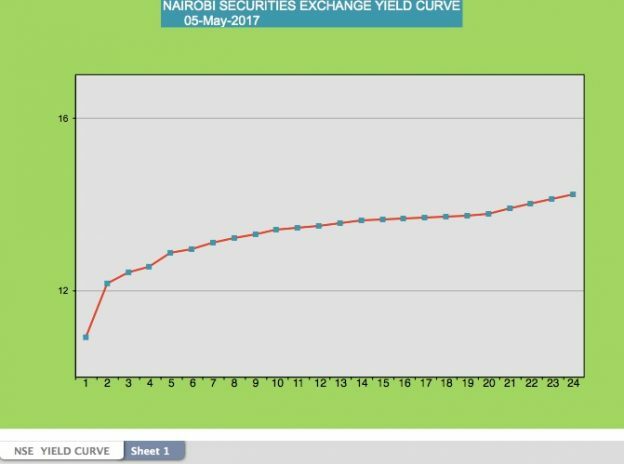 Bond market turnover was Kshs 433 billion (~$4.2 billion) in 2016 (up from 305 billion in 2015). Turnover has been 99% due to government treasury bonds, while that of corporates is less than 1% of bond turnover in a year – except in the years 2010 and 2011. If one doesn’t want to buy NSE bonds directly, there are CMA-approved bond funds for investors including the Apollo Bond Fund, Co-op Bond Fund, Diaspora Bond Fund, Dyer & Blair Bond Fund, ICEA Bond Fund, Madison Asset Bond Fund, and the Old Mutual Bond Fund. These fixed income /bond funds total Kshs 1.4 billion (or 2.5% of the 57 billion) of funds under management by fund managers in Kenya. M-Akiba: Following the successful launch of M-Akiba, Kenya’s Kshs 150 million, 10%, tax-free, 3 year bonds that were entirely sold via mobile phone (the minimum investment was Kshs 3,000 (~$30)) another Kshs 4.85 billion (~$47 million) is to be floated in June 2017. Following the launch of a green bonds program, banks, under the ambit of the Kenya Bankers Association (KBA), have partnered with Nairobi Securities Exchange (NSE) towards raising the country’s first bank-supported climate change-aligned corporate debt instruments in the next six to eight months. The capital flows from the green bonds in Kenya will go towards funding bank clients that require finance for clean and sustainable development projects in the priority areas of energy, agriculture, transport, infrastructure, building and urban planning, and water and waste management…so far, banks operating in South Africa and Morocco are already tapping the green finance opportunities in partnership with local municipalities and development finance institutions. projects. Also in South Africa, the World Bank’s International Finance Corp (IFC) successfully raised a 9-year, 1 billion Rand Green Bond via the Johannesburg Stock Exchange. More on the Kenya Bankers Association Sustainable Finance Initiative. The Kenya Government finance bill 2017 will give Islamic finance bonds the same treatment as conventional bonds and also allow Islamic finance products in the cooperatives sub-sector. The Rwanda government is about to issue a 10 billion Rwanda franc (~$12 million), 7-year Treasury bond. It will be issued on May 24 and the funds will be used for infrastructure project and capital markets development. The bonds will be listed at the Rwanda stock exchange and trade in multiple of 100,000 francs (~$120). Centum announced a Kshs 2 billion one year 14.5% note for the Two Rivers Development. Cytonn is seeking advisors for their medium-term notes to raise Kshs 5 billion from the public towards the financing of Cytonn real estate’s (CRE) projects including Taraji Heights in Ruaka and The Ridge in Ridgeways. On Monday EABL listed the Kshs 6 billion (~$58 million) of bonds at the Nairobi Securities Exchange (NSE) as the second and final tranche of its Kshs 11 billion shilling medium-term note program that was launched in 2015. The tranche attracted bids worth Kshs 8.4 billion, representing a 41% over-subscription. The bonds maturing in March 2022 will pay an annual fixed interest of at least 14.17% and the raised funds will go towards optimising operations and restructuring the brewer’s balance sheet. “This is the first corporate bond to be listed on the bourse this year, and we are confident that its success, a subscription rate of 140.9% will open the doors for more listings in the course of this year,” said Nairobi Securities Exchange CEO Mr. Geoffrey Odundo. Citi upgraded EABL as a buy, due to its low price – seeing value even as the beer market was flat. The first half of FY17 (ended December 2016) showed decent volume growth for EABL (+5% YOY) but weak sales growth (-6%) as beer demand continued to shift from mainstream to value. EABL is doing well in spirits but struggling in beer, and Tanzania continues to present a challenge. – Citi report. A South African credit-only micro-finance institution Real People Investment Holdings which issued a multi-billion bond in Kenya late 2015, has received a negative rating. Global Credit Ratings (GCR) said it had downgraded the primary and special servicer quality ratings assigned, with the outlook accorded as negative. Transcentury bondholders lost 50% in a restructuring buyout deal. The African Development Bank had led the establishment of an African Domestic Bond Index and a $200 million African Domestic Bond Fund to deepen liquidity in local bond markets. It has also issued local currency bonds in 11 countries, including Kenya, South Africa, Egypt, Ghana, Nigeria, Botswana, and Uganda. leading the African Union in mobilizing domestic resources required to execute the Bank’s five developmental priorities dubbed the ‘High 5s’. – Light up and power Africa, Feed Africa, Industrialize Africa, Integrate Africa and Improve the quality of life for the people of Africa. The Africa Finance Corporation issued a US$500 million 7 year Eurobond. The senior, unsecured Eurobond which carries a coupon of 3.875% was priced to yield 4.000% and matures in April 2024. It attracted orders of US$2.4 billion, representing about 5 times over-subscription from 231 investors. The bond will be listed on the Irish Stock Exchange. The Eurobond was distributed to investors in Europe (29%), United States (25%), United Kingdom (24%), Asia (18%) and the Middle East (4%). Citi, J.P. Morgan, MUFG and Standard Chartered Bank acted as Joint Lead Managers and Bookrunners for the U.S. dollar-denominated issue. FSD Africa (Financial Sector Deepening Africa) and KfW Development Bank will invest £15.3 million (~$19.8 million or Kshs 2 billion) in the African Local Currency Bond Fund enabling it to step up its engagement with developmentally important industry sectors such as green energy and housing and take on investments in fragile and conflict-affected states. ALCBF is managed by Lion’s Head Global Partners (LHGP) Asset Management LLP. Bonds, Loans & Sukuk Africa “the continent’s only Pan-African debt event” takes place on 13th & 14th March 2018, at the Cape Town International Convention Centre. This entry was posted in ADB, Centum, CMA Kenya, EABL, FSD, NSE bonds, NSE investor awareness, shariah banking, Transcentury and tagged Bonds on May 9, 2017 by bankelele.